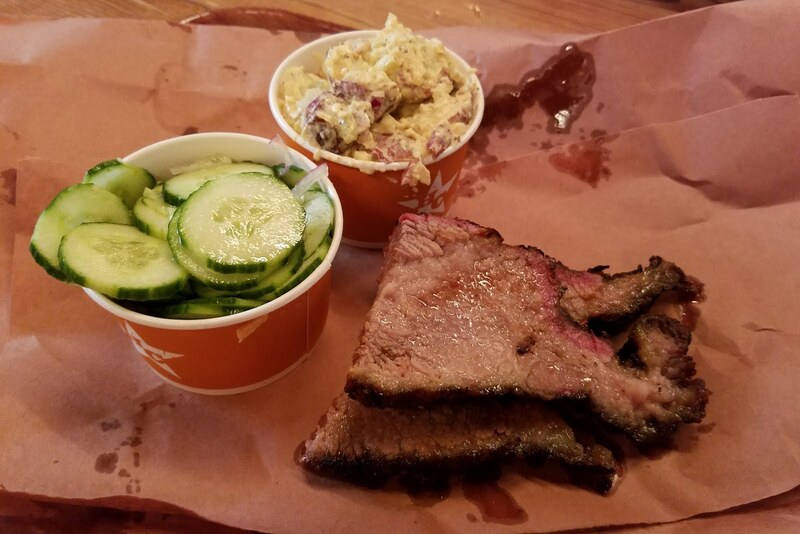 Sadly the moist brisket, our usual lunch order at Hill Country was too marbled today, making every bite unpredictable and not that good. It was so not that good that we had to order a couple pieces of lean brisket just to cut the pure fat. But then, on the way out, the guy behind the counter offered us a free chocolate chip cookie for kicks. I think he was being nice, but what he didn't know was that (1) we had a bad lunch and (2) Hill Country's chocolate chip cookie is the ABSOLUTE BEST CHOCOLATE CHIP COOKIE. In the end we leave quite satisfied.